Father's Day is just around the corner (at least here in New Zealand and Australia) so let's style up a cake for your Dad with this Free Printable Cake Topper. Whether you bake a cake yourself or grab a store-bought one, it's super easy to add the personal touch just for your Dad! 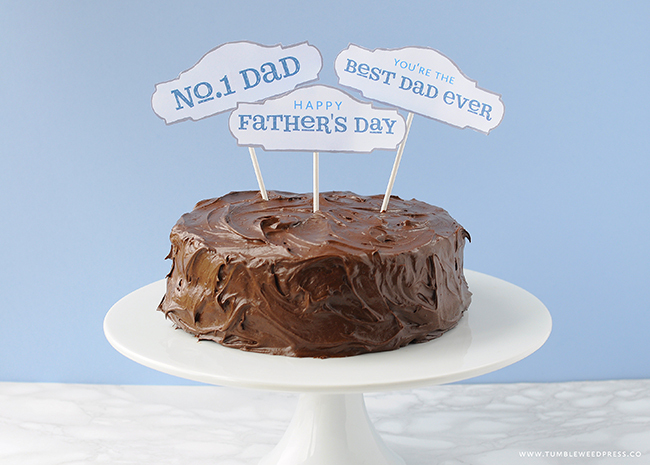 Get the Free Father's Day Cake Topper Printable at the end of this post. There are 3 designs included, so you can choose which one suits or use all three! 1. Print out the Cake Topper Printable on white paper (or card stock for best results). 2. Trim around the sentiment(s) that you like best for your Dad. 3. Attach straws, lollipop sticks or bamboo skewers to the back of the printable with tape. 4. Insert into your cake - all done! For my go-to Chocolate Cake (as pictured above) I love the simplicity of this recipe from Country Living Magazine, and it's super quick to make. Mix all ingredients together, then bake. The recipe is available here or I have it in this cookbook. Note that the cake pictured on their website, is not the actual cake. The recipe makes a 2 layer chocolate cake (not a 3 layer white cake). Also the online recipe (for some strange reason) has the odd measurement of .67 cup for the sugars, this is 2/3 cup (as per the cookbook) and with the Fudgy Cream-Cheese Frosting .67 cup is 2/3 cup Cocoa and .13 tsp is 1/8 tsp Salt. 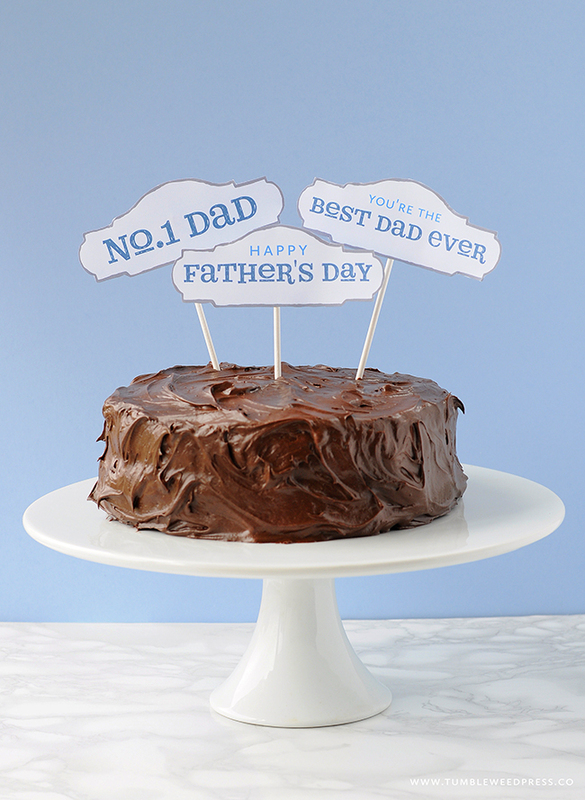 Get your Father's Day cake topper printable now by entering your details below. Simply save the PDF to your computer and then print out a copy when you need it. Yay, Success! Now check your email for your Free Printable.